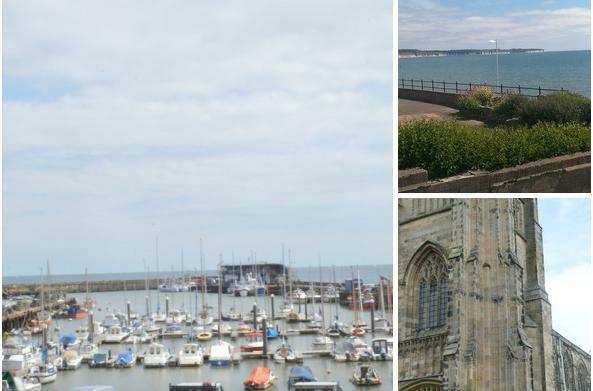 Located on the East Coast of Yorkshire Bridlington has been a popular destination for many years for English holidays and weekend breaks. Bridlington has award-winning beaches of golden sands which stretch out on either side of the historic harbour and in the hot summer months these bustle as a hive of activity of tourists and local families and residents. The beautifully designed promenades provide everything from fun-fairs to quiet spots where you can sit and watch the world, or the boats, go by. Bridlington has a range of shops, attractions and restaurants to suit most needs and the historic Old Town of Bridlington offer a fascinating contrast of a time gone by. The market in Bridlington has a very high demand for investments and rental opportunities also is a very popular town for those looking to retire. The property in Bridlington offers good value for money. Apart from the retirement aspect it is also very popular with young families wanting a seaside life-style. David Hockney, is an English painter, draughtsman, printmaker, stage designer and photographer He lives in the popular south side area of Bridlington. A 'big screen' version of classic comedy Dad’s Army has just been filmed in Bridlington's Old Town. The town’s High Street was transformed into Walmington-on-Sea. Famous faces included Catherine Zeta Jones, Michael Gambon, Bill Nighy and Sarah Lancashire. The manager of Reeds Rains Bridlington, Andy Vidler says: "Bridlington offers a mixture of Yorkshire hospitality with seaside living. The walks along the cliff tops are a must and hours of fun can be had on the award winning Bridlington beaches." There are a range of property types in Bridlington from bungalows and apartments to larger houses. As one of Bridlington’s largest estate agents, Reeds Rains has flats and houses for sale that cover areas on the outskirts of Bridlington; including Bempton, Flamborough, Barmston and Sewerby. The most sought after areas in Bridlington would be the Martongate area located on the North Side of Bridlington, which is has large prestige properties. Also the Belvedere area which has views over the North Sea. The price of property to rent in Bridlington starts at about £250-£550 per calendar month for flats and apartments, houses start at £450 for 2 bedrooms and rise to £550 a month, although this depends on the size of the property. For larger houses, tenants can expect to pay between £550 and £750 per month. The Promenades is Bridlington's largest covered shopping centre, conveniently located in the heart of Bridlington town centre. open 7 days a week with over 25 High Street stores. Bridlingtons Old Town is a unique shopping experience. The key to this is that the Old Town has kept it's personality. The High Street is a delightful mix of places to shop, places to eat and places to wander. For those in need of a little retail therapy there is plenty on offer including antique shops and fashion shops. There’s nothing like the seaside to increase your appetite and Bridlington is no stranger to making the most of the fruits the waters of the North Sea yield. The picturesque Old Town has more than its fair share of chippies and the esplanade lined with seafood stalls offering whelks, mussels, crabs and much more. The restaurants along the seafront source the best local sea bass, sea trout, scallops, crab. A local fish and chip shop in Bridlington was awarded fish and chip shop of the year 2013 for the whole of UK. Bridlington is served by a railway station, on the Yorkshire Coast Line that runs between Hull and Scarborough. In the town run nine local bus services and six services to out of town destinations including York, Scarborough, Driffield, Beverley and Hull. The town lies at the junction of two main trunk roads. The A165 between Hull and Scarborough and the A614 between the town and Nottingham. Four land trains run in Bridlington: the Yorkshire Rose, Yorkshire Lass and Yorkshire Lad and the Spa Light Express.